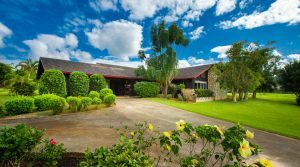 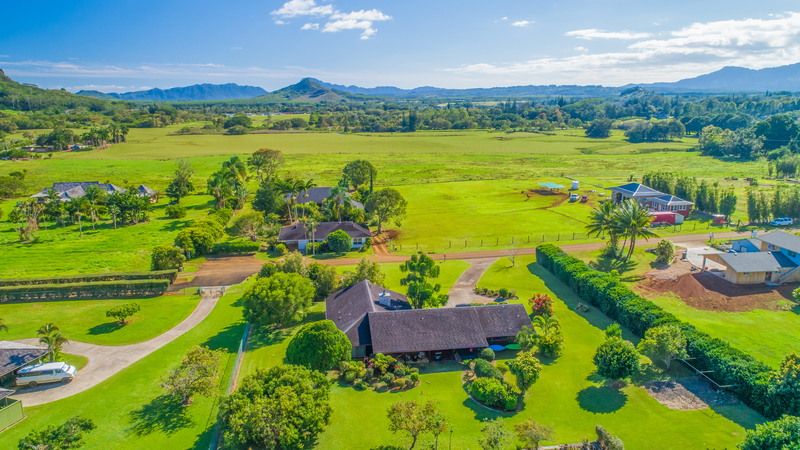 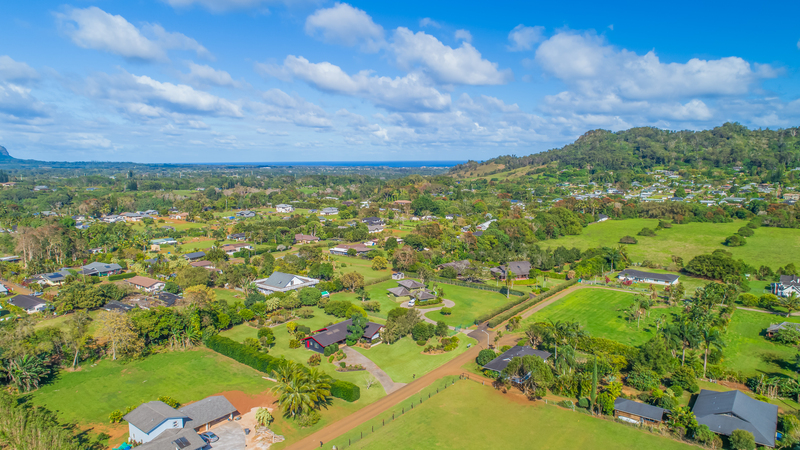 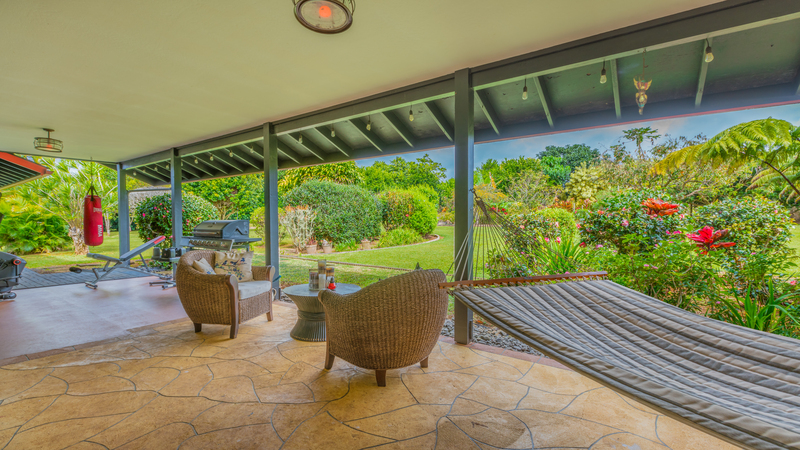 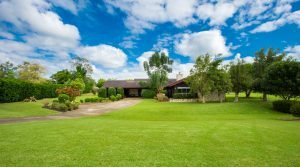 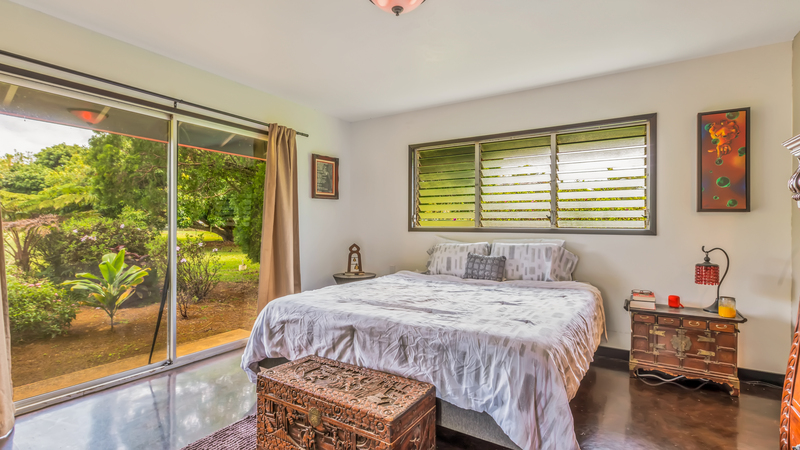 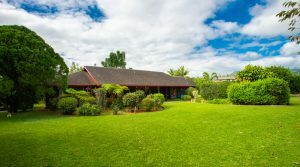 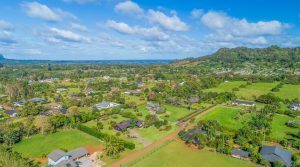 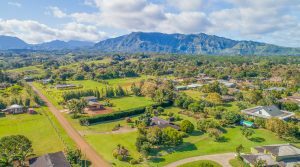 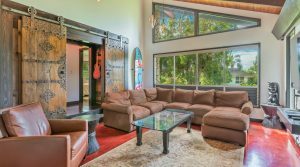 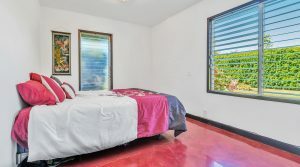 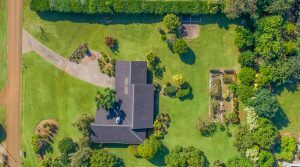 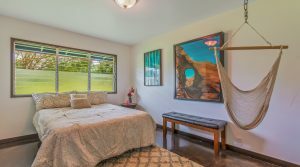 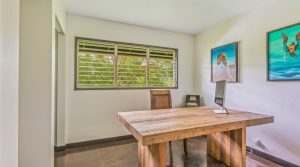 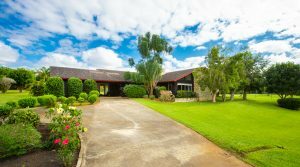 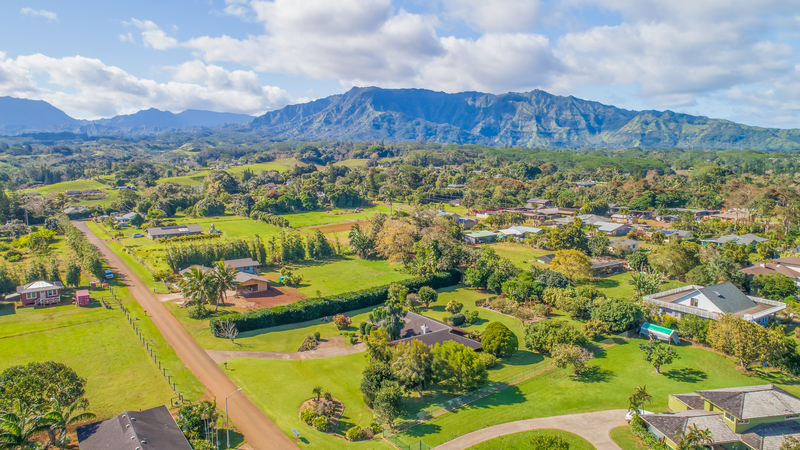 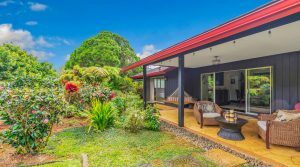 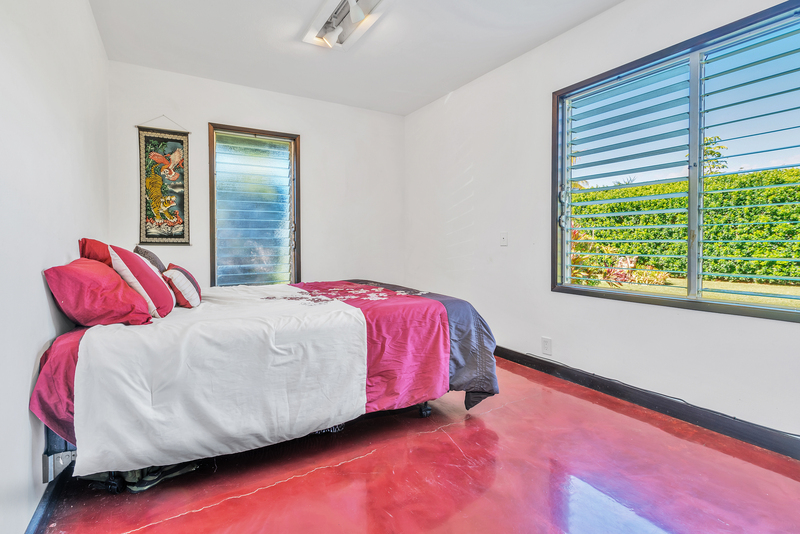 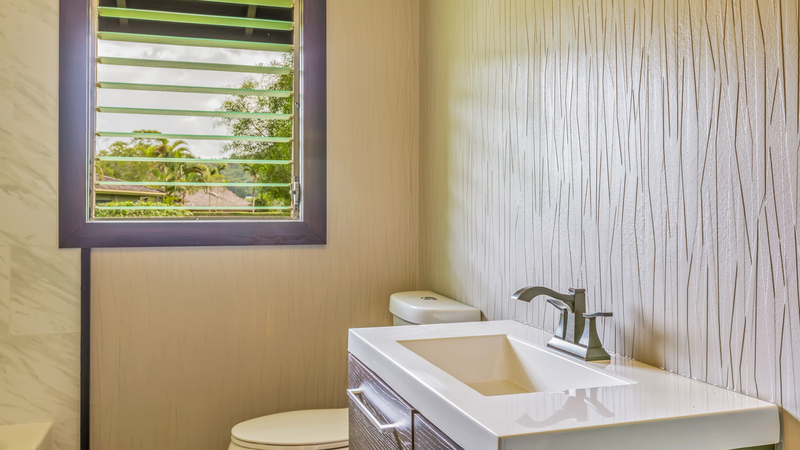 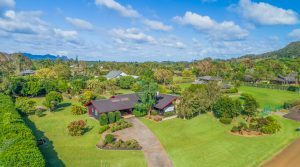 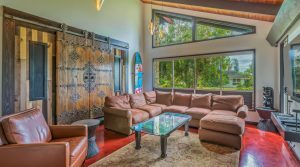 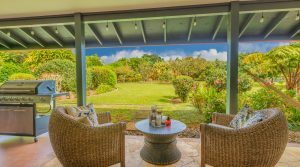 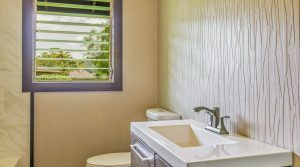 This stunning modern home is located on a lush landscaped acre in the beautiful peaceful Wailua Homesteads. 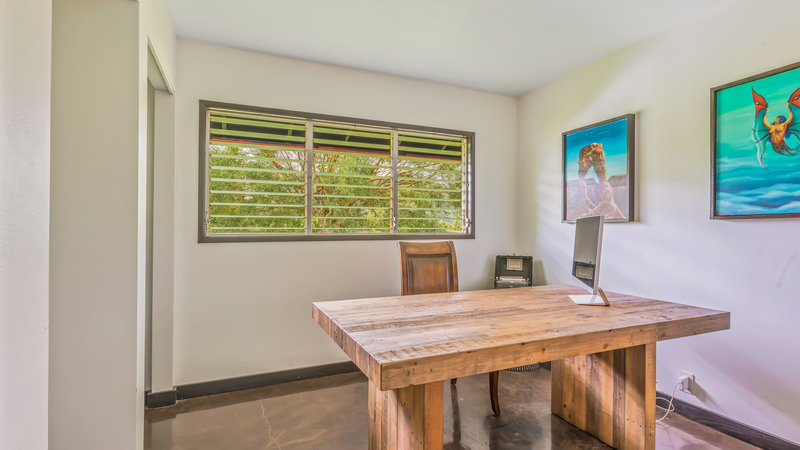 This 3 bedroom 2.5 bath has a bonus room/office currently used for extended family with its own private entrances. 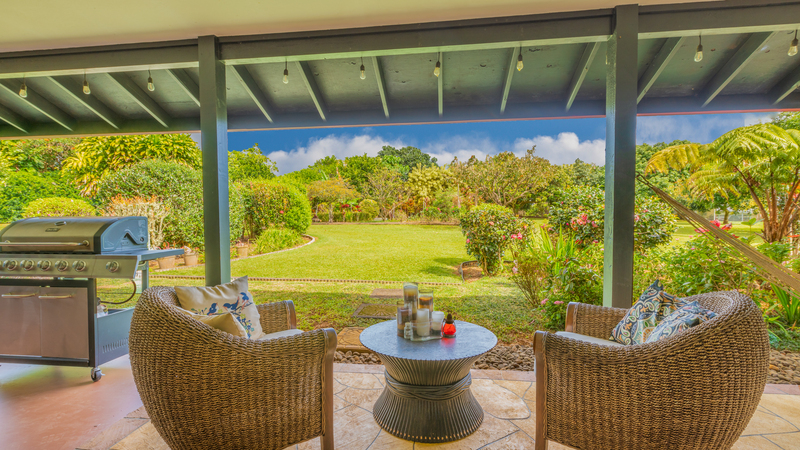 The prolific grounds have rambutan, tangerine, longan, orange, tangelo, lychee, dwarf avocado and papaya trees. There is an abundance of orchids, hibiscus, and other flowers in this Edenesque yard. 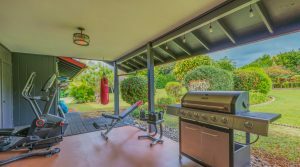 This 3 bedroom 2 bath home has a living area with fireplace, covered lanai, 540 square foot garage with dedicated laundry area, and bonus area with separate entrances. 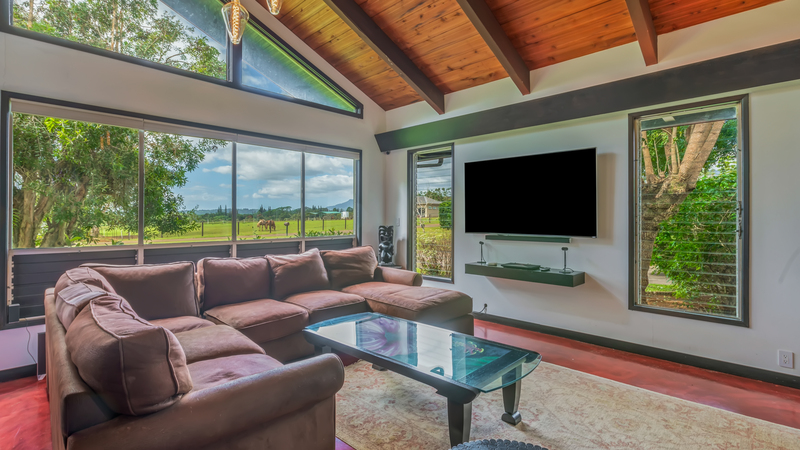 The home has many smart features including internet connected smoke and carbon dioxide sensors and Phillips Hue lighting system. 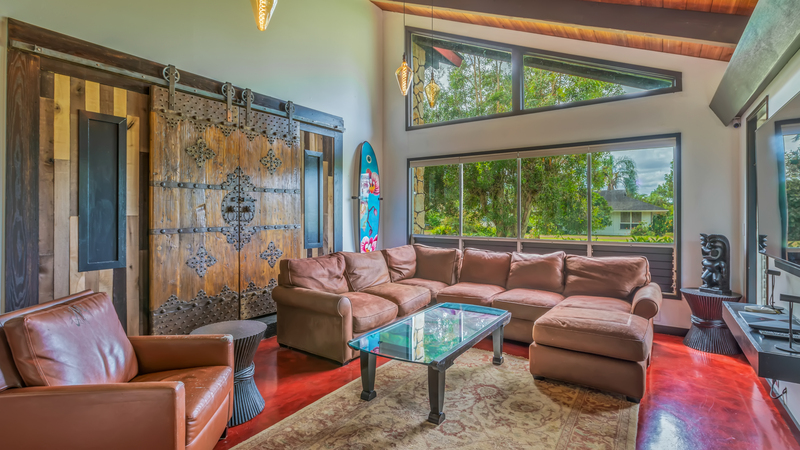 Electronic door locks make for easy secure access. 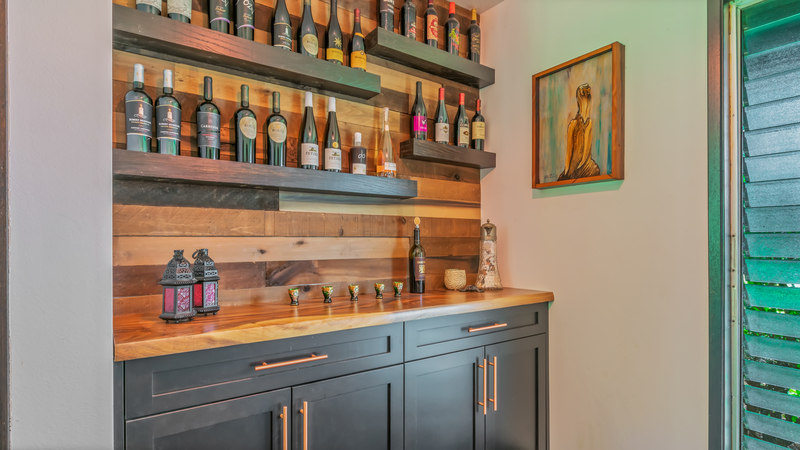 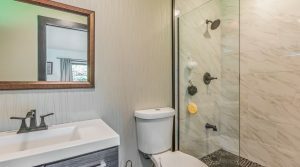 The kitchen has graphite stainless steel appliances, a double waterfall kitchen center aisle, a copper farmhouse sink, bronze faucets, and a custom koa wine bar. 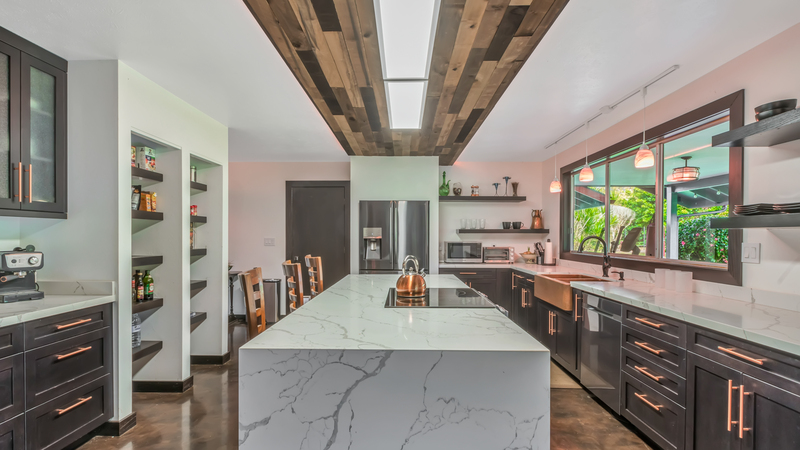 There are epoxy resin contemporary floors and repurposed barn wood accents throughout the home. 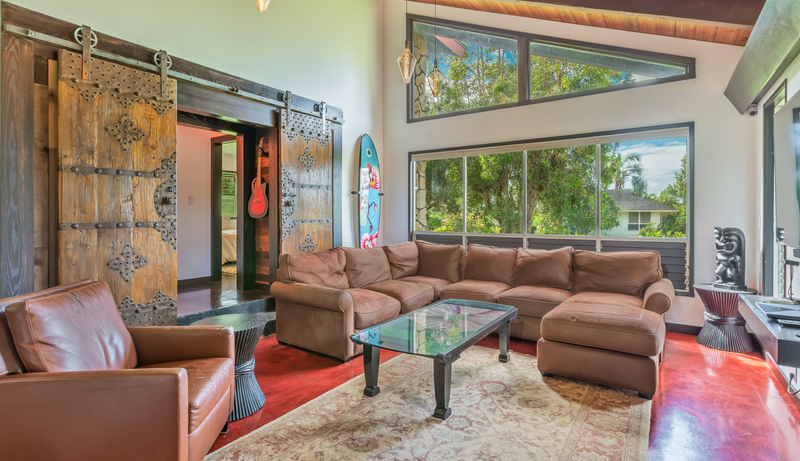 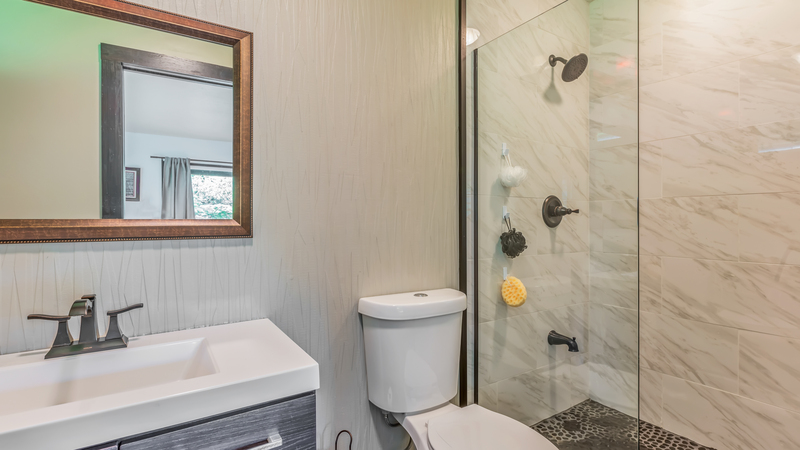 Fine features such as Balinese sliding doors, and antique bulb lighting abound. There is a covered 480 square foot lanai. 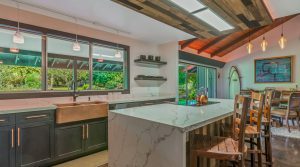 This unique and remarkable home should not be missed. It is located near the end of a cul de sac and has views of the Kilohana Crater and Sleeping Giant Mountain. Please note that the seller is in the process of replacing the roof so the new owner will have a new roof! 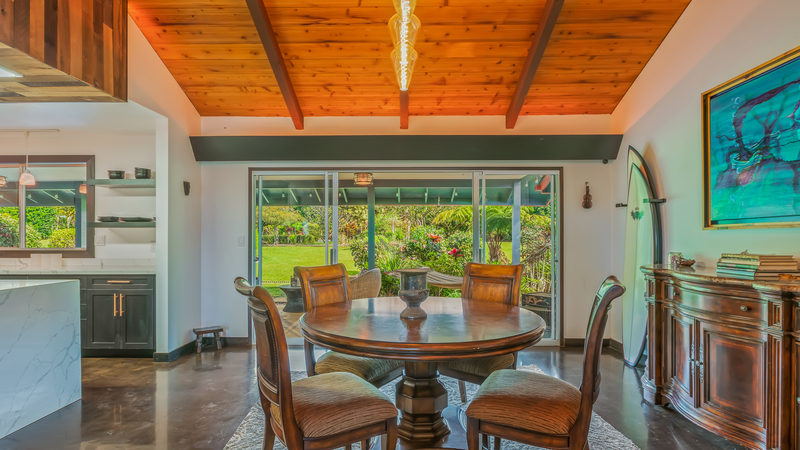 This home has undergone a loving and thorough remodel and awaits the discriminating buyer.